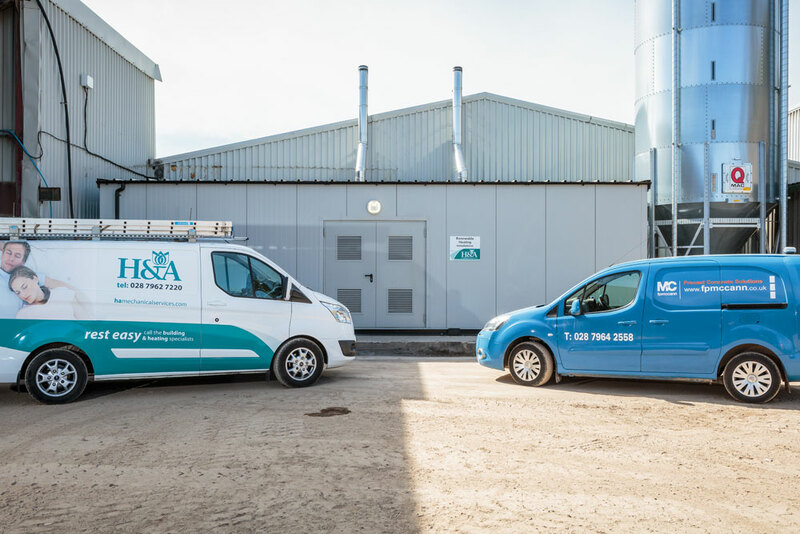 With their current Oil Fired Boilers serving the curing chambers coming to the end of their life F P McCann approached H&A Mechanical Services to see how it could reduce its substantial energy costs and at the same time significantly reduce their carbon emissions. 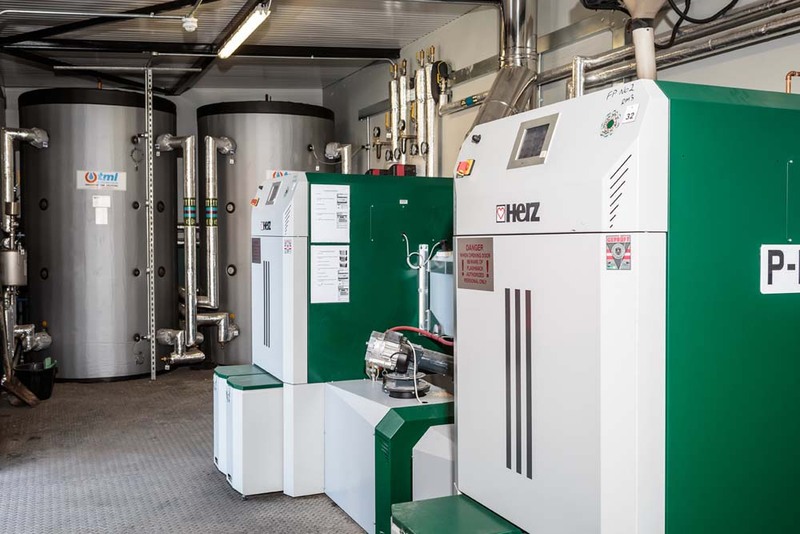 After considerable consultation and looking closely at F P McCanns precise requirements and with the site ideally suited for Biomass it was proposed that 2 No 99kw Herz Biomass Boilers be installed, heating the curing chambers through warm air units at high level. 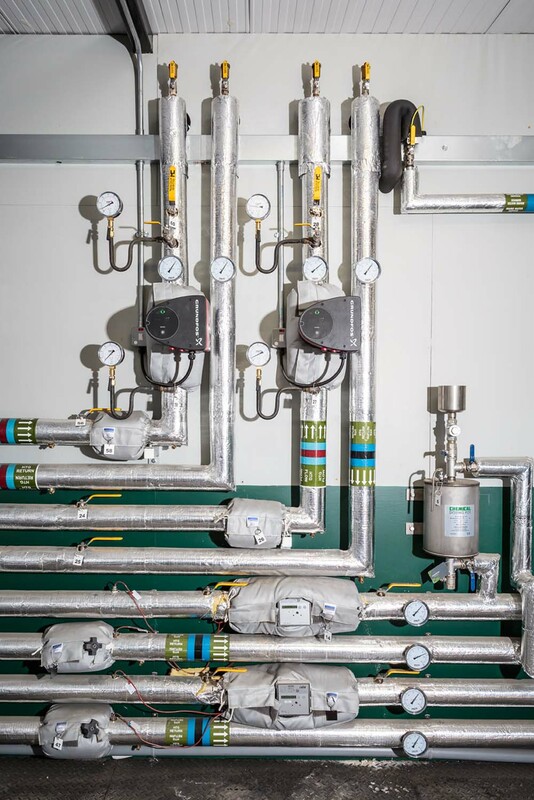 Our proposal confirmed that carbon emissions would be reduced by up to 90% and the installation costs would be recovered within 3 years and the Client would benefit from the Government RHI’s over the 20 year term providing a substantial return on investment. 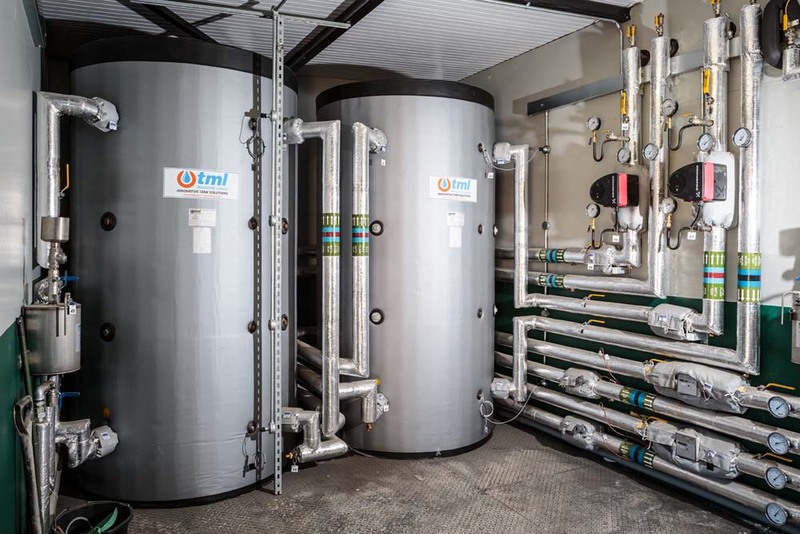 The installation of the energy cabin pack comprising of the 2 No Biomass Boilers, Buffer Vessels and Pumps was completed in a period of 6 weeks.